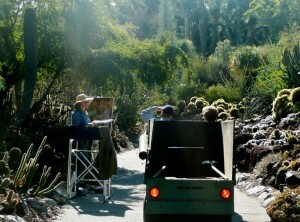 Painting at The Huntington: December 6, 2011. Here I am, back at the spot of the no-cactus, attempting to use other near-by cacti of the same variety to fill in the big gap. There were a lot of gardeners that day, cleaning up after severe winds blew down at least 50 trees at The Huntington alone, and destroyed many others. 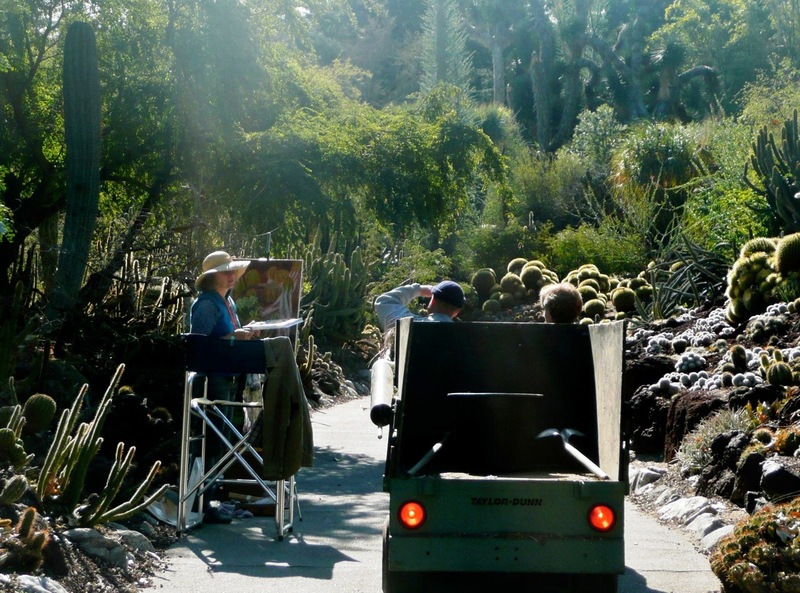 The cactus garden was filled with debris, which was being painstakingly picked out with long tweezers. It reminded me of the scene in “The Phantom Tollbooth,” when the demon instructed Milo to move a hill of sand with a pair of tweezers. Milo eventually realized the futility of all this; I doubt the gardeners have much choice in the matter. The photo was taken by Jose De Juan, who was painting a vibrant, impressionistic-style image nearby. I was receiving an affirmation of my efforts by two of the gardeners. In spite of this, I have mixed feelings about whether or not to finish it. It’s hard to be excited about an image when your main model is gone.